Can I get a VAWT, Vertical Wind Turbine? Don’t bother because VAWT Vertical Turbines will never produce meaningful power. If they did I would have them too. If you can’t go with a HAWT propellor type turbine like Opti-Volt7, just stick to the solar. Theres a reason those VAWT have never been used by a utility, because they don’t put out any power. All professionals know this, only the online fakers are selling that stuff. 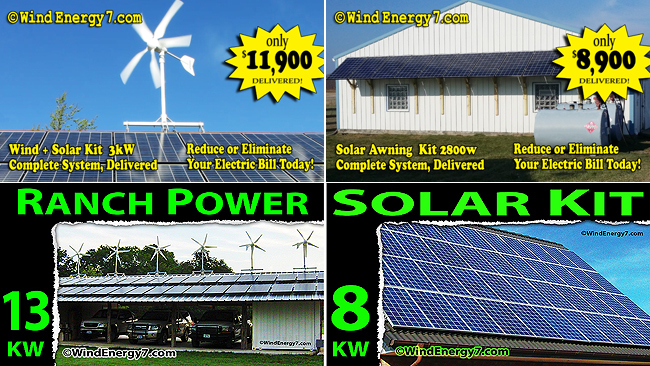 In tuscon I can do you a better system using solar and you can still have emergency off grid capability if you like. Cost/Benefit just stay away from vertical turbines gfor sure. Just turning.. and actually driving a powewrful generator are very different things.